Incredibly fresh and fruit-forward with notes of strawberries, tart cherries, spring flowers, and loamy soil undertones in a medium-bodied, pure format. Vibrant acidity and silky tannins allow this easy-drinking red to go down smoothly. Aged predominantly in stainless steel on the lees for 3-4 months, with a percentage resting in French and American barrels. Enjoy with everyday favorites such as pizza, pastas, burgers, and grilled vegetables. Drink young. 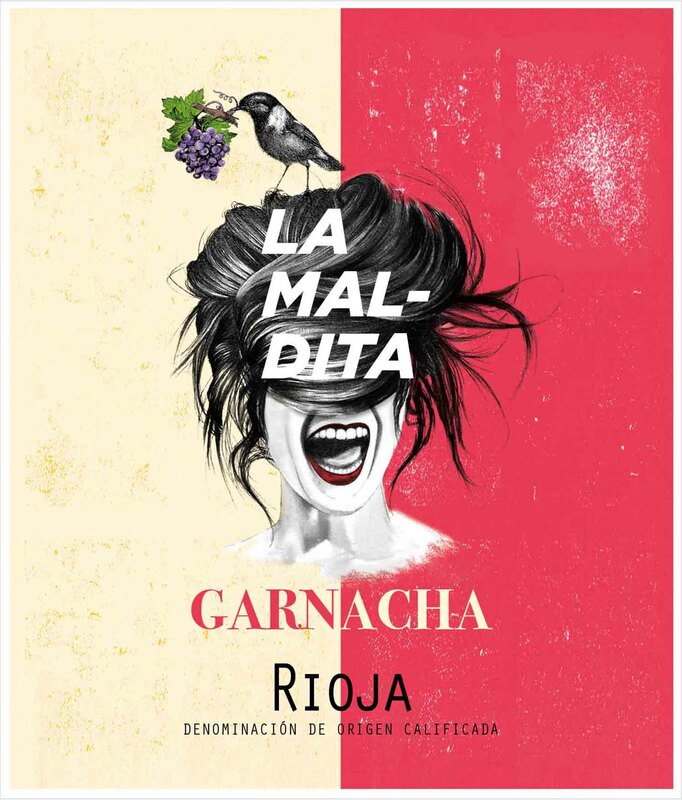 La Maldita has now turned into a Garnacha project with wines of all three colors, the original of which, a red, is already in its fourth vintage with the 2017 La Maldita. This has to be one of the first reds bottled from a challenging year. It’s mostly unoaked, but a small fraction of the wine was in barrique for a couple of months. I was very surprised by the elegance of the nose of this Garnacha, with a balsamic and herbal twist, fresh with body, ripeness, deep flavors and a great mouthfeel, juicy and very pleasant. This has now grown to 225,000 bottles; they seem to have increased quantity and quality. And it’s a bargain. Bravo! Attractive wild raspberry and brambly aromas that smell fresh and appealing. The palate follows with energetic raspberry compote and hints of darker blackberry fruit, too. Great wine. Drink Now. The young and fruit-driven 2015 La Maldita is a juicy Garnacha with balsamic aromas and notes of sweet herbs that I have not found in Garnacha in a while. The palate is velvety, with unnoticeable tannins, great freshness and high drinkability. This is a champion for early consumption, ready to be a success in the by-the-glass market. Superb value! A new label, this young Garnacha…makes a reference to the difficulties of growing the grape in Rioja, which gave it the nickname “La Maldita,” the cursed one. This is a young fruit-driven red, bottled after a short stage in barrel and seems to have a whiff of carbonic maceration-like aromas, candy and licorice. It seems like there is a little spritz in the palate making it lively and fresh, with unnoticeable tannins and juicy fruit. Very good value. A new label, this young Garnacha…makes a reference to the difficulties of growing the grape in Rioja, which gave it the nickname “La Maldita,” the cursed one. This is a young-fruit driven red, bottled after a short stage in barrel and seems to have a whiff of carbonic maceration-like aromas, candy and licorice. It seems like there is a little spritz in the palate making it lively and fresh, with unnoticeable tannins and juicy fruit. Very good value.